Fraser Smith and Kenneth Burns, of the WYPR news team, talk about the first City Council override of a mayoral veto in three decades. WYPR's senior news analyst comments on the souring relationship between Gov. Larry Hogan and the Democrats in the General Assembly. It's an irrevocable end to a short-lived era of good feelings. Mileah Kromer, director of the Sarah T. Hughes Field Politics Center at Goucher College, joins senior news analyst Fraser Smith to talk about the latest Goucher poll. Fraser Smith and Bryan Sears, of The Daily Record, discuss Gov. Larry Hogan's "spring break" shot and his rapidly souring relationship with Democrats in the General Assembly. Fraser Smith and Todd Eberly, the coordinator of Public Policy studies at St. Mary's College of Maryland, examine how the passing of Supreme Court Justice Antonin Scalia has affected the presidential campaign. What Would The Bard of Baltimore Say? WYPR's senior news analyst looks at today's politics through the lens of former Sun columnist H. L. Mencken. Fraser Smith and Mileah Kromer, director of the Sarah T. Hughes Field Politics Center at Goucher College, talk about what the next mayor has to do to keep millennials in the city after they've had children. Fraser Smith and Richard Cross, speechwriter for former Republican Gov. Robert Ehrlich, talk about the Iowa caucuses, the upcoming New Hampshire primary and what that means for current Republican Gov. Larry Hogan's support of New Jersey Gov. Chris Christie. Fraser Smith and Melissa Deckman, of Washington College's political science department, analyze what happened to former Gov. Martin O'Malley in Iowa. 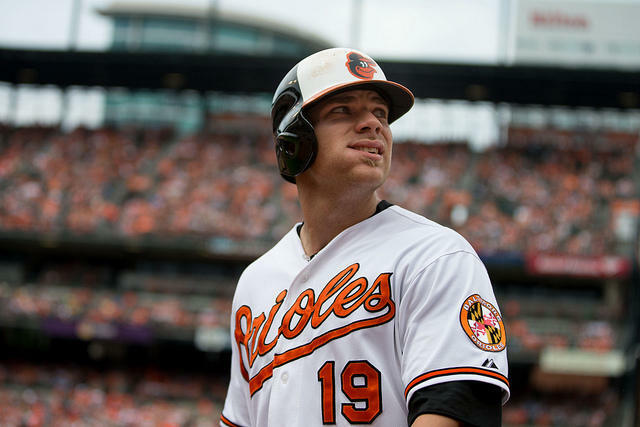 Saturday’s announcement that the Orioles and first baseman Chris Davis reached agreement on a new contract represents a watershed, a crossing of the Rubicon, if you will.